Mensusa https://www.mensusa.com/articles/appear-elegant-in-navy-blue-chalk-suit-with-the-plain-pants.html Appear Elegant In The Combination Of The Navy Blue Chalk Suit With The Plain Pants You would look classy and sophisticated pairing the navy blue chalk suit with the navy dress pants. 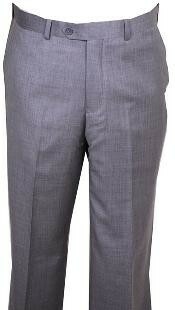 www.mensusa.com offers the best dress pants and the stylish chalk suits of delightful quality within reasonable prices. A variation of the pinstripe suits, the chalk suit is a sophisticated and elegant attiring solution for the fashionable men. Appearing to the public dressed in the chalk suits, you uphold your personality in a sober yet high-fashioned style. Thus, the chalk suit come within the preferred category of attiring of the modern men. The pairing of the chalk suit with plain pants further accentuates your appearance. The chalk suit features a mystical appearance with the stripes being blurred out. You would never ever be able to spot the stripes for the chalk suits as distinctly as you can do for the pinstripes. However, these stripes add impeccable grace to the suits. Lying midway between the soil patterning and the stripe design, the chalk suits stand ravishing as a choice of attires. The options like navy blue chalk suit is a gem of a collection for the formal as well as the casual dressing needs. The navy blue base of the suits with stripes in fine and blurred lies, usually made in shades like white, gray or cream. The tinges of the colors used for the stripes, though subtle, creates a wonderful effect in combination with the navy blue base. Pairing these suits with solid patterned trousers would surely enable you to make a ravishing appearance. In instances you pick the navy blue chalk suit for attending any formal occasions, you would do well to pair it with the navy dress pants. The combination of the striped suit coat with solid pattern trousers rise a wonderful effect to impress the people around you. The contrast in stripes and solid pattern between the suit coat and the trousers feature a ravishing show. The combination is perfect for the daytime and the evening occasions. Hence, you can pick the combination as the usual business dressing as well as for attending some formal parties or even prom occasions, staged during the evening time. Besides the options of the gray and the navy dress pants, you have the availability of various shades for the dress pants that you can pair with the navy blue chalk suit. The portfolio of the best dress pants would give you readymade trousers fabricated with top grades of fabrics and offering you the perfect fitment as usual with the tailored trousers. You can be assured to get the optimal comfort. The appropriate combination between the dress pants and the chalk suits promises to uphold your appearance and persona in a sophisticated, elegant and stylish way. You simply require picking the right shade and the fitment right, after which, getting the perfect appearance is just the matter of time. 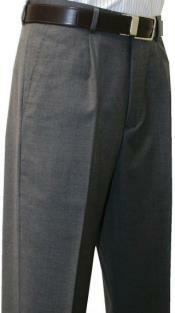 www.mensusa.com offers a delightful portfolio of chalk suits and dress pants. The portfolio comprises inexhaustible variations on aspects of design and color. You can be assured of the quality of the products that you buy from this store. The best part about this store is that it sells out top quality products at affordable prices and offers the most delightful customer support services, both at the pre-sales and post-sales phases.